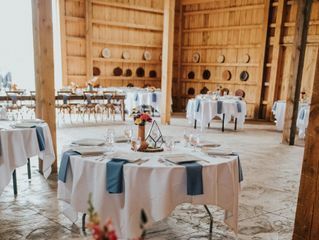 The Orchards at Rocking Horse Farm is an elegant, rustic wedding venue in Jamesville, New York — just 10 miles away from downtown Syracuse. 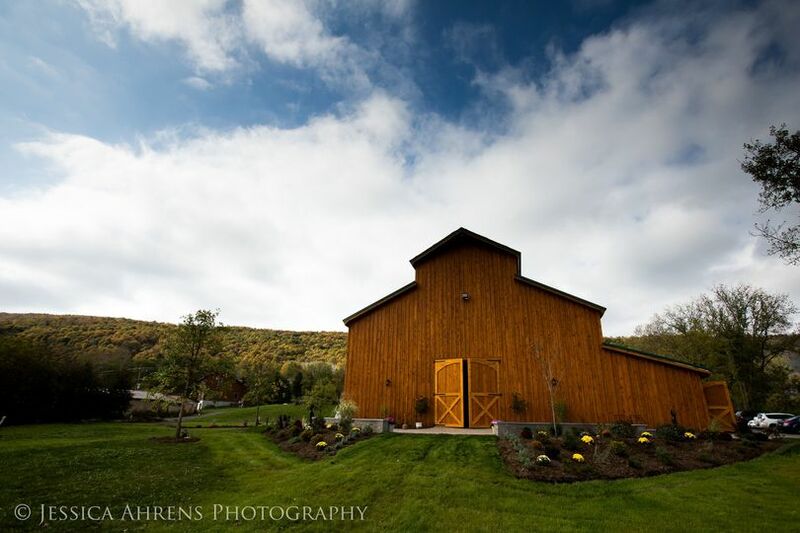 The scenic indoor/outdoor venue was built specifically with barn and farm weddings in mind and has been hosting weddings in the Syracuse area since 2017. 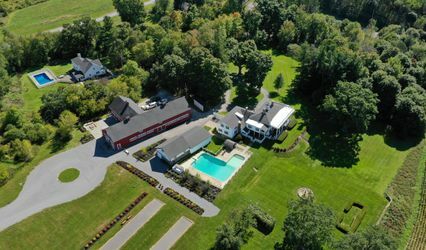 With over 150 acres of picturesque landscape, The Orchards at Rocking Horse Farm has all the makings for a dream barn wedding: alpacas, apple orchards, horses, miniature donkeys, a pond, and a tree farm. 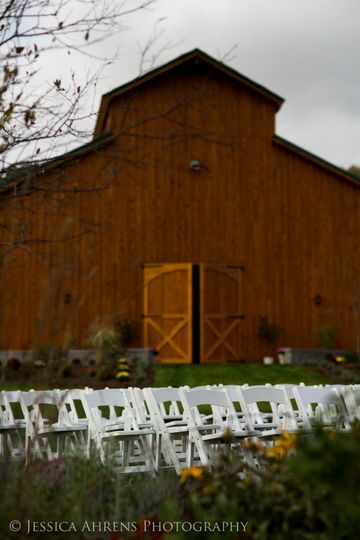 The Orchards has on-site parking available for about 70 vehicles, offers shuttle services, and is wheelchair accessible. 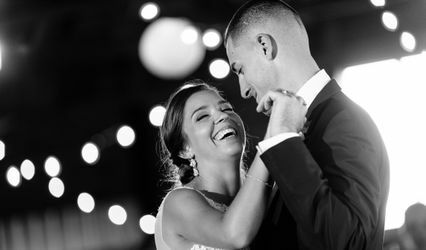 They only host one wedding per weekend, giving each couple the space they need to setup and clean up in a stress-free atmosphere. 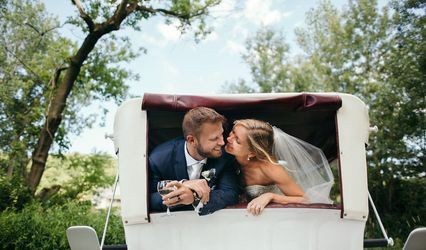 Couples even have use of the property’s expansive gardens, lawn areas, and patios for outdoor activities (aside from the ceremony). 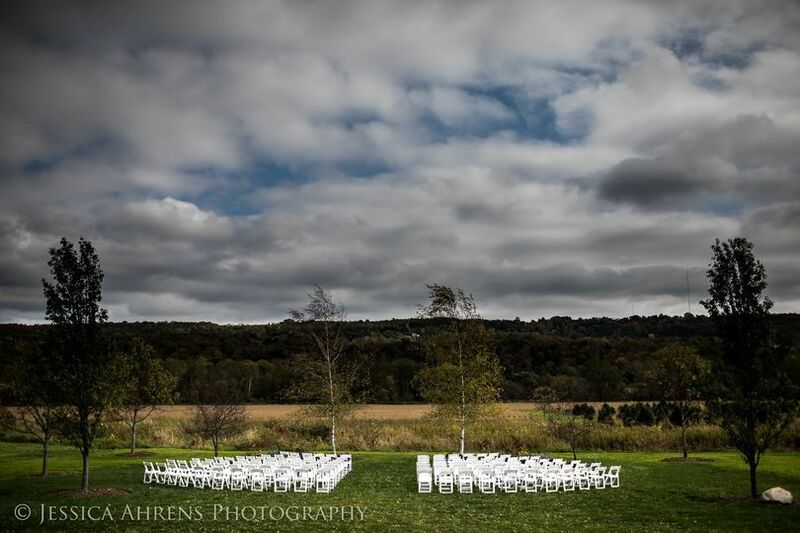 The Orchards is able to provide couples with event rentals and have chairs, decor, and tables ready to be used. 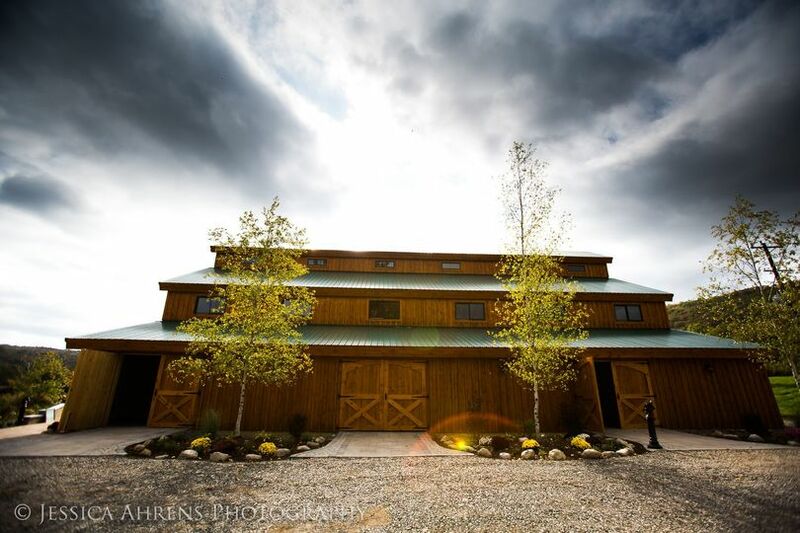 The Orchards not only gives you free reign of the property from Friday to Sunday, but includes a variety of spaces and accommodations within the barn itself. 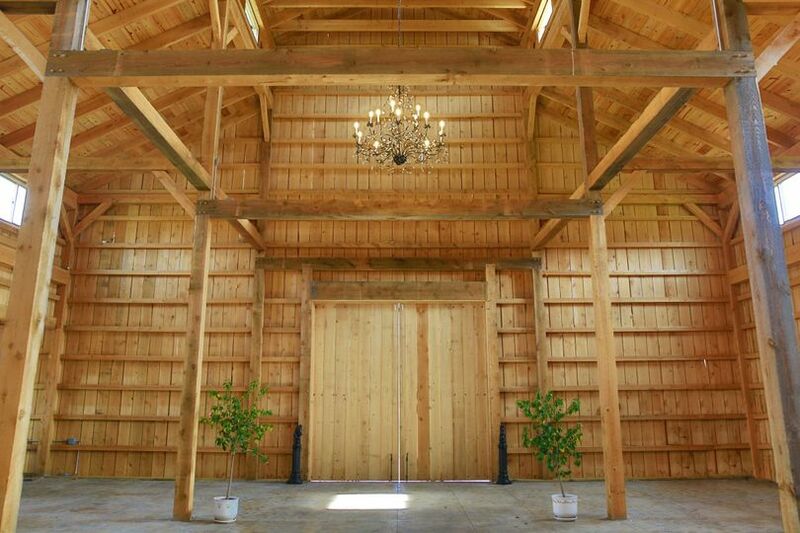 The upstairs portion of the barn has areas that can be used for extra seating or a bridal suite. 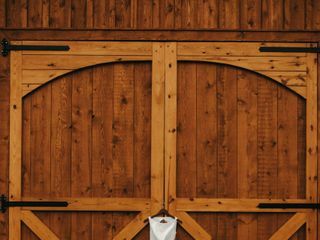 The first story has a full-service bar made from reclaimed American Chestnut with two bartender stations available for use, and even has handicap-accessible bathrooms. My wedding day was magnificent. This venue is beautiful. Julie and Keith are wonderful to work with. 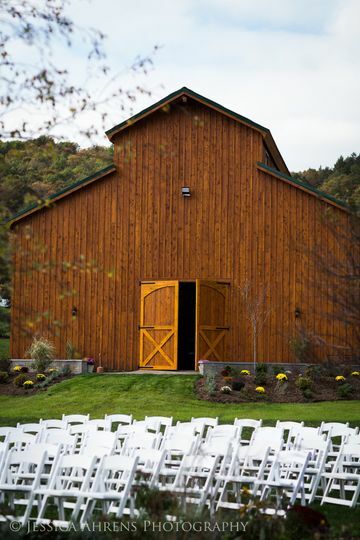 Great place for both the ceremony and reception. 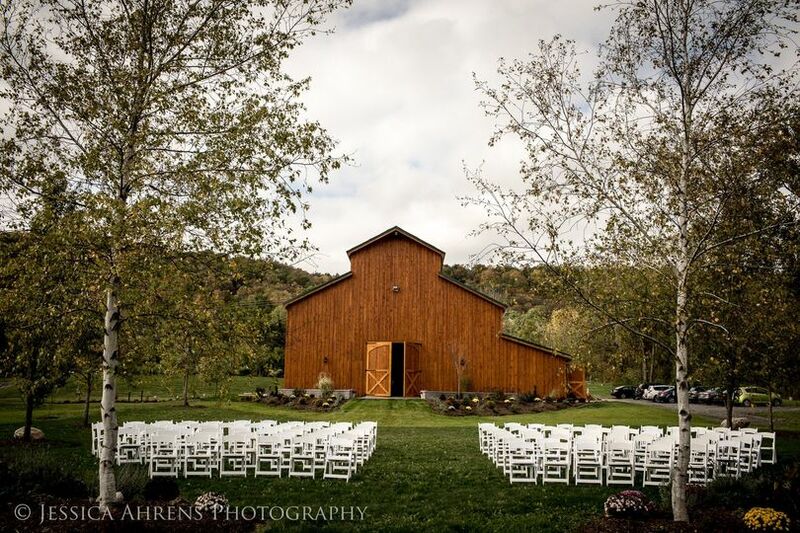 The barn is magnificent and the setting is amazing. It's handicap accessible which was very helpful to my folks. The acoustics are fantastic with the 7 piece band and the lighting is stunning. Can't say enough, this place is beautiful! 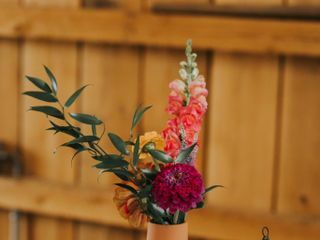 Our wedding in Aug '18 was mostly DIY and the owners of the barn went above and beyond (she even fixed my wilting bouquet from flowers in her own garden!) to help make sure I enjoyed my day and it all went as smooth as possible. It rained in the morning and that didn't prevent any activities in the afternoon. Pros: Beautiful views, not dirty like old barns, perfect atmosphere for the party to be indoors and outdoors. 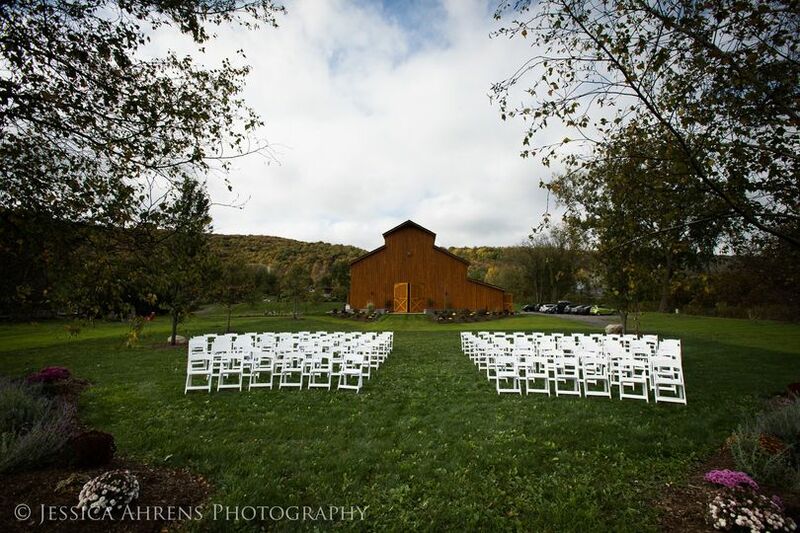 Beautiful landscape, you get the barn for the whole weekend which makes setup a breeze! 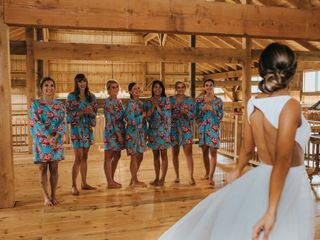 The only area I think that they could improve was that it was a newer venue and as a first time bride there were details I didn't know to share with them and they didn't know to ask. 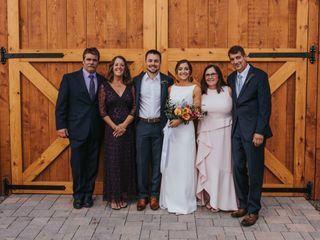 This did not change our wedding experience, as they were always available to help and work out any kinks. 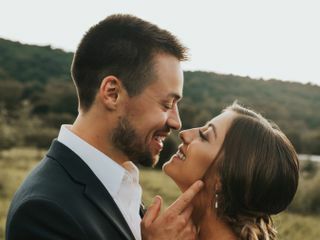 Post wedding they asked for feedback and were open to improving and I have no doubt all the weddings in the coming years will run even smoother!